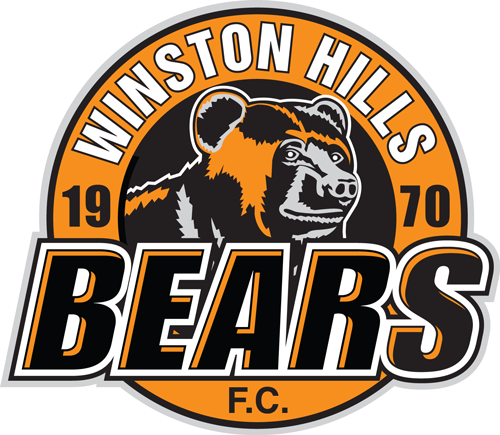 The Winston Hills Bears are very excited to be participating in the new FNSW endorsed Hills Association competitions commencing in 2017. Building on our successes in 2016, including U17 Champion of Champions Honours, we are investing heavily in our youth coaching and development programs for the new season. Our Youth Development Program, run by our FFA C Licensed coaches, will offer a great place for kids of all ages and levels of ability to enjoy their football and develop their skills. To provide the best possible facilities, equipment and coaching to enable young, local players to enjoy participating in the game of football and to develop their football skills and knowledge to their maximum potential whilst ensuring the highest possible standards of sportsmanship and personal conduct. Participation levels across the club grow year-on-year and the club’s most capable young players go on to represent the club and our community through selection for district, association, state and national representative teams and are recognised for their commitment to the game and high standards of personal conduct. The WHSC Youth Development Framework will cover all our teams, coaches and players from U5 to U17 from 2017. The new approach will be based directly on the Football Federation Australia (FFA) National Curriculum including the Vision, Philosophy, National Playing Style and Coaching Philosophy. − Provide our players with the opportunity to develop within a framework offering the best potential to be selected for representative and higher grade football. − Make sure that our young players benefit from advances in the thinking of the FFA. Beyond our own Youth Development Framework we’re also committed to establishing direct relationships with representative football managed by FNSW and The Hills Football Inc. – this will provide further pathways for our talented players to continue their development with the support of WHFC. If you would like to join the team in either a coaching or supporting role we would love to hear from you. We will support you every step of the way and help ensure that you enjoy being part of Team Winsto as much as our kids do!